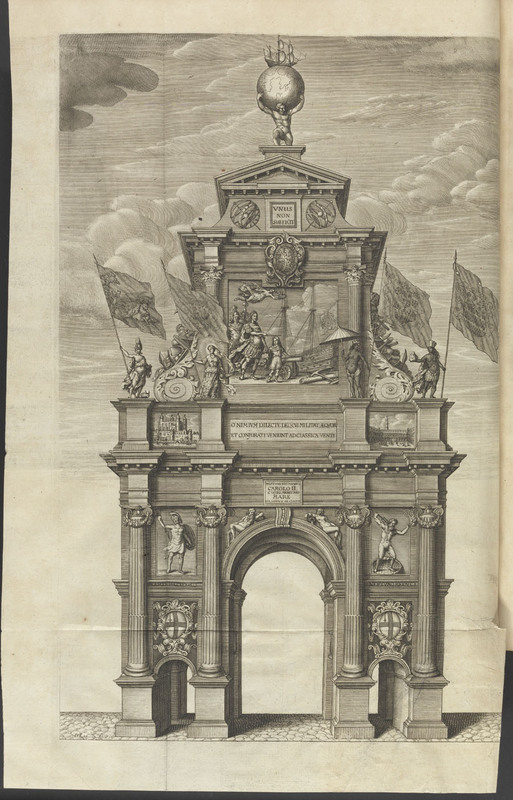 Gallery Home › Theatres, Processions and street theatre › A Triumphal Arch during the Post-Coronation Entry of Charles II. A Triumphal Arch during the Post-Coronation Entry of Charles II. This engraving, from John Ogliby, The Relation of His Majesties Entertainment Passing through the City of London to his Coronation (1661) shows one of the several arches erected for Charles II's coronation entry. Courtesy Yale Center for British Art, Paul Mellon Collection.